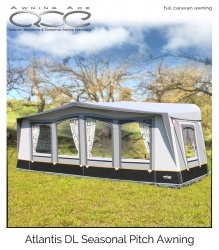 Suitable for Camptech full, traditional and seasonal awnings produced 2016 to present day. 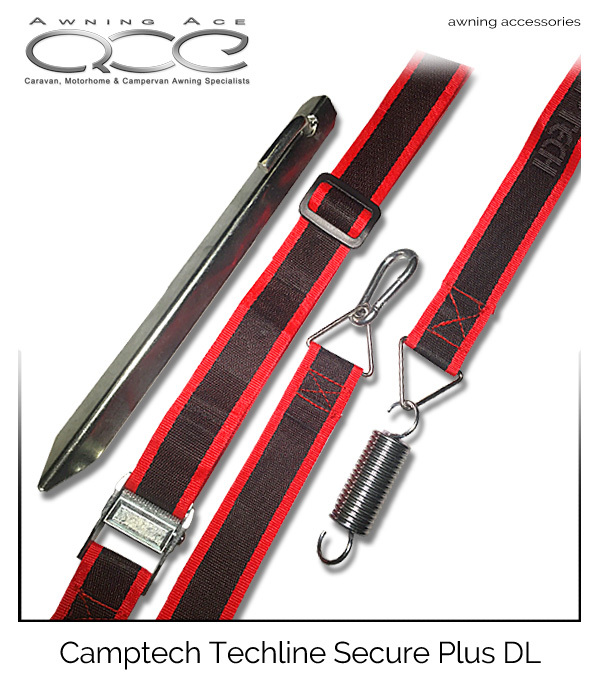 This Secure Strap is an optional central strap used to further secure your precious Camptech caravan awning. 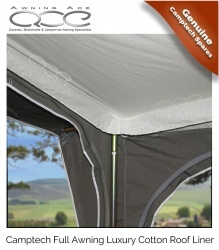 The storm strap attaches to the front centre support of you awning offering stability even during strong winds. The strap is an ideal addition for seasonal campers and prevents the front of the awning from lifting during gusty wind conditions or coastal camping locations. Pack contains one strap with strong steel clip assembly, metal ratchet adjuster, adjustable buckle, strong steel spring tensioner and extra strong steel pegs. 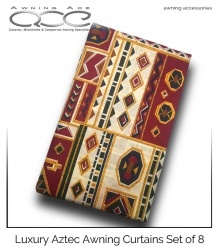 Suitable for Camptech Traditional awnings produced 2017 to present day.